Simply the best value, feature rich Quality Monitoring suite. Quality monitoring systems play a vital role in today’s connected business whether in a purpose-built Contact Centre or a typical office but not all recorders are equal in function or price. 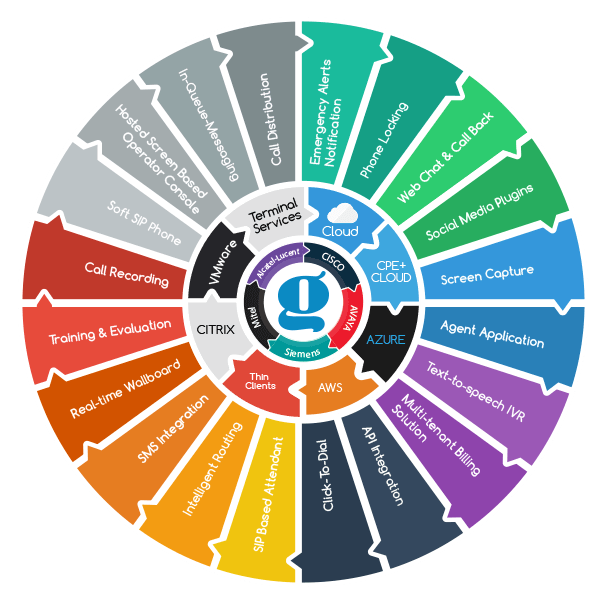 GTI SCORE combines rich features and affordability to provide a flexible, cost-effective and profitable solution for the SME market. 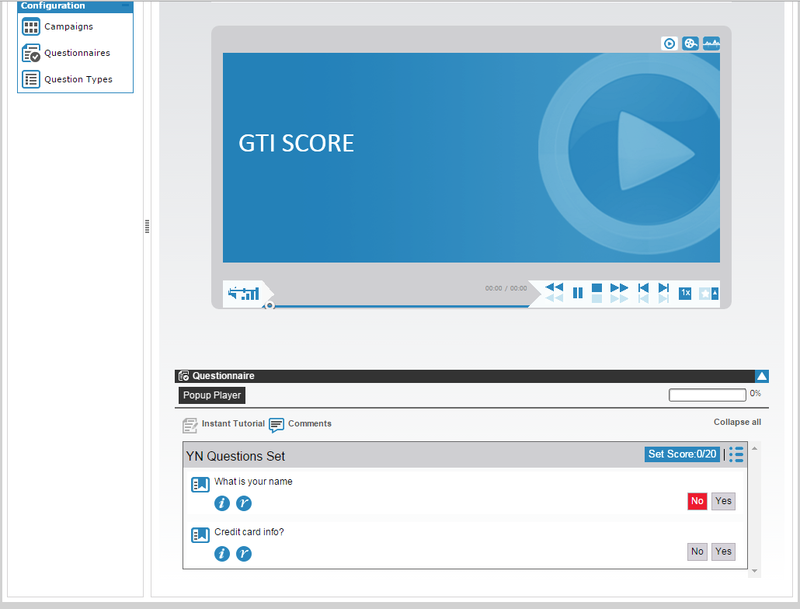 To provide ease of access, GTI SCORE has been developed as Web Browser Interface. This ensures that the software & its features can be accessed from any PC both locally and remotely. Web Browser based interfaces mean that the system can be accessed by any PC on the network, Even remote working is supported. In addition, each agent can see his or her scorecards and instant tutorials. Scorers have similar restrictions according to their privileges. 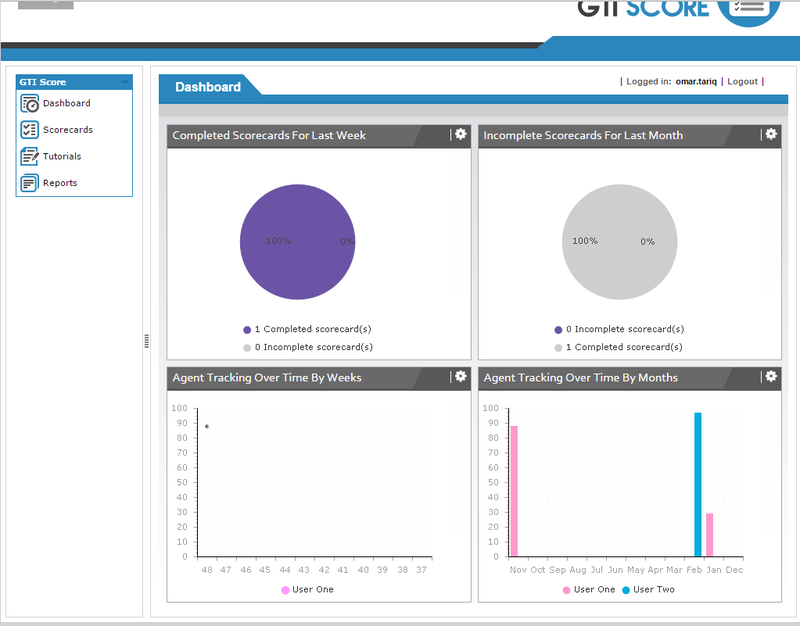 Dashboard offers a graphical analysis of the scorecards that have been actioned, as well as an Agent performance summary. Question Types are assigned when creating a Question and determine how it will be answered. Each Question Type option is assigned a weight from 0% to 100%. Question Sets have been provided to allow associated questions to be grouped together which will be helpful for evaluation process. Questions are used when evaluating an agent’s call. Each question results in a score which is added to the overall outcomes of the Questionnaire. Questionnaires are the templates consisting of one or many sets of predefined questions that are considered when performing an evaluation on an agent’s call. Campaigns offer the ability to specify which Questionnaires are to be performed and when they should be carried out. Tutorials are designed to provide training material to the agents which is directly associated with the issues that have been identified while evaluating a call. Scorecards are generally performed by a team supervisor (known as scorer), also can be performed using a pre-defined Campaign or directly from a single Questionnaire.